In partnership with local municipalities and shelters, DocuPet provides pet registration and lost pet services that ensure animals can always get home safely. For more information about DocuPet, see www.docupet.com. What are the program features and associated benefits to me and my pet? Why is DocuPet in Syracuse? The City of Syracuse and DocuPet have partnered up to offer an enhanced Pet Ownership Program for Syracuse residents. The DocuPet solution includes online license payments, pet tag distribution, customer service, renewal notice distribution, and community awareness campaigns. Pet owners must now license through the DocuPet program in order to secure a Syracuse pet license. What information do I need to provide to license my pets? In order to complete the licensing process, you will be required to provide basic information about your pet, proof of current rabies vaccination, and if the dog is spayed or neutered, documentation must be presented or uploaded for the reduced fee. Also a few critical pieces of information about yourself including your name, address, and contact information. Once you have completed the licensing process, you are encouraged to add extra information about your dog in their online accounts, including photos! You can license your pet online, or in person. If this is your first time licensing a pet in Syracuse, click here to learn more. If you already have an account with us or have ever licensed a pet with your city click here to learn more. Why am I required to provide my email address? We need your email address to create a unique ID for your account and to provide a way for you to verify your account. Licenses can be purchased for 1 or 3 years. This license cannot be issued for a period of time that exceeds the validity of the rabies vaccination certificate. When can I license my pets? Starting September 10th you can license your dogs using DocuPet. If your pet currently holds a valid license you will receive a renewal reminder before the license expires. Where do I license or renew my pets? If you wish to license from the comfort of home, you can do so online here. If your pet has a valid rabies certificate that has been verified in DocuPet, you can renew your dog’s license over the phone by calling 1-877-239-6072 between 9:00 AM and 8:00 PM EST. If you wish to license in person, learn about your options here. What if I do not have an email? If you do not have an email you will need to license your pet in person at one of the participating locations listed here. 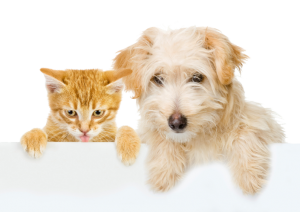 What is the cost to license my pets? Please see the fee table here. What is a DocuPet Rewards Card? Your DocuPet Rewards card is your proof that you belong to our Rewards Program. Show your Rewards Card at any of our participating partners to receive great deals on all sorts of products and services, including many that your furry friend will love. Please get in touch with us! We stand by the quality of our tags and if your furry friend's tag has worn within one year of purchase and is no longer legible we will replace it free of charge. Just demonstrate proof of wear by emailing a photo to info@docupet.com. Please don't wait - your pet's tag is key to your pet getting home if he or she is ever lost! What else will I receive in the mail? If it’s your first time licensing a new pet, along with your pet tag you will receive two Rewards Cards and your new Membership Package! My pet lost their tag. How can I get a new one? You can order and pay for a replacement tag online by logging into your account and selecting the "Order Replacement Tags" link. You can also order a replacement tag by calling our customer service team at 1-877-239-6072. Alternatively, you can visit an associated sales vendor to purchase a replacement tag. How do I receive my tag? Your pet tag will come in the mail regardless if you license online, or in person. Please allow for 10-12 business days to receive your tag and use your receipt as proof of license in the meantime! What do I have to do if I receive a Lost Pet Alert? As a member of the Lost Pet Brigade, you are not obliged to do anything at all, but if you are available to help and see that the pet was last seen in your area, we would hope that you would take the time to look around your immediate vicinity. This is your way of "paying it forward" should you ever need the assistance of the Lost Pet Brigade yourself! How do I report my pet lost if I don't have an online account? If you licensed your pet in person you can gain access to your online account by activating your account here. Alternatively, contact DocuPet at 1-877-239-6072 for assistance with your lost pet. When you log into your account, the first page you see has a list of your licensed pet(s) and beside your lost pet will be a "Report Found" button. Do I have to report my pet found? Please! Because we engage a whole community of pet lovers when you report your pet lost and we appreciate being updated as soon as possible when your pet is found so we can let everyone know the search is off. How do I report my pet lost? From within your online account, you can indicate that your pet has been lost by filing a lost pet report. The first page you see has a list of your licensed pet(s) and beside each pet is a "Report Lost" button. You’ll be prompted to enter where your pet was last seen and be given the opportunity to add additional contact information. This takes just a few minutes. You should always check with your local animal shelter as well. How do I choose what information the public can see? Upload photos – this makes it so much easier for the Lost Pet Brigade to spot your furry friend and for us to create social media posts on your behalf. What information is included in a Lost Pet Alert notice? What happens when I report my pet found? When you report your pet found we will inform everyone within the Lost Pet Brigade, remove your pet's profile from the "Lost Pets" page, remove any social media posts that have been made on your behalf and breathe a big sigh of relief! Why is DocuPet's HomeSafe Lost Pet Service unique? DocuPet’s HomeSafe Lost Pet Service allows you to immediately connect with other pet owners and pet lovers in your area if your pet goes missing, and alerts you instantly if your pet is found. It also lets you control what information is displayed on your pet’s profile and makes it so anyone can simply report your pet found. My pet is no longer with me, but I’m still receiving renewal reminders? We’re sorry! Unfortunately, unless you tell us a pet is no longer in your care, we have no way of knowing. Have you already told us? You may have a duplicate account. Get in touch with the DocuPet customer service team to update your record by calling 1-877-239-6072 or emailing info@docupet.com. How do I notify DocuPet that my pet has passed away? We're sorry for your loss. You can update a pet's profile via your online account or we can take care of it for you if you call 1-877-239-6072 or email info@docupet.com. Our customer service line is answered from 9:00AM to 8:00PM EST, Monday through Friday. How do I update my pet’s information? Your pet’s information can be edited via your online profile at any time. If you don’t have an online account get in touch with us via phone at 1-877-239-6072 or via email at info@docupet.com. While were at it, we can also help get your online account activated. Our customer service hours are from 9:00AM to 8:00PM EST, Monday through Friday. Who can I get in contact with to ask questions about this program? Are DocuPet Community Representatives enforcing the City Ordinance? No, community representatives will not be enforcing the City Ordinance. They are educating the public about the pet licensing by-law and promoting awareness of the DocuPet program. Can I license with someone who comes to my door? Our community representatives are only visiting homes to drop off information. They are not equipped to license at someone's door. DocuPet offers online sales and you may also visit a vendor location to license in person. Where can I obtain a copy of my pet’s spay/neuter or rabies certificate? If you can’t locate the certificate you received after the procedure was done, you will need to contact your vet. Reach out to them via phone, email, or even through their website to request a copy of the required certificates. Be sure to specify any and all pets you require documentation for. The document provided is the right type of document. Pet and pet owner account data matches your own. The document is clear and legible. Why do I have to upload a spay/neuter certificate for my pet? The City of Syracuse requires documentation that verifies a pet's rabies vaccination. Documentation is also required to verify that a pet has been spayed or neutered in order to receive the discounted rate. Requiring documentation ensures that pet information is accurate which is critical for identification reasons.